Whohoo! #20. Why & How Do I Teach Online? 5 Benefits of Teaching & 5 Ways To Teach Online. Question: I want to start a podcast about technology and there are so many other podcasts that talk about technology. Why would anyone listen to me? Answer: Perspective (shoutout to teacher and podcaster, Chris Nesi). My podcast is unique because of my perspective on every topic I teach or discuss. Your podcast about technology will be unique to your knowledge and experiences. Watch the evening news any day of the week and the same story sounds completely different depending which station or reporter is covering it. So, the reason someone would listen to you even if you are talking about the same topic is the relationship and connection you build with your audience. Your perspective will resonate with some and with others it may not. It’s up to you to develop your voice and style and that comes with time, practice and experience. But if you are passionate and knowledgeable about a topic, pay no attention to what your competition are doing and people will listen to you if you are providing good content and value. I. 5 BENEFITS OF TEACHING? 1. Authority. The more you teach about a topic the more people associate you as an expert or authority on that topic. Becoming an authority in any industry leads to opportunity and also helps you gain confidence. 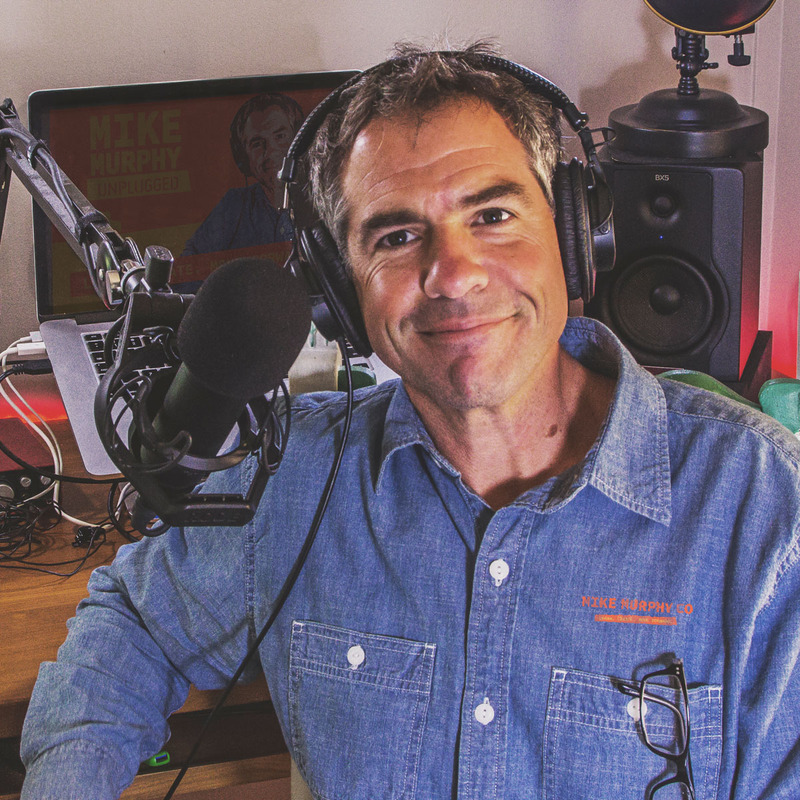 The more I teach about podcasting, the more people when they hear my name or see my logo will say, Hey, it’s Mike the Podcast Guy or whatever you teach. This is the value of teaching a niche topic. For jack of all trades, the concept of niche is very frustrating. I have had a long battle with this as I have too many interests and picking one niche topic is almost impossible. You may be in this boat too and struggling create anything because you can’t decide what to choose. I am still working on this, but I can tell you teaching is the answer. 2. Learning & Improving Skills. Teaching is the best way to learn and master your own skills. It’s actually quite amazing how much I’ve learned by writing podcast scripts and teaching others. For everything I teach, I have to think: What is the purpose of this lesson? What steps are required? What do I want people to takeaway from this lesson? So in order to teach anything, I have to completely deconstruct the process and explain it in a simplified manner that people can understand. 3. Helping Others. Teaching is rewarding to me because I am helping others figure things out and hopefully as a result they can be more successful or happy or move forward in their business or personal development. There is nothing more satisfying than seeing someone frustrated or overwhelmed with something and me being able to solve their problem or teach them an easier way to do something in a way they had no idea existed. Helping others should not be underestimated as it will help you in every facet of your business. I started my online journey to share my knowledge with others and is one of my primary motivators. I use social media serving hours as my way of teaching others by helping them. This sharpens my skills and gives me satisfaction of making someone’s day just a little bit easier because of knowledge I shared. Helping others is also the way to build relationships and a strong network. When a friend of the person I help online needs a tech issue solved, guess who they are going to recommend? 4. Marketing & Promotion. Teaching is the ultimate marketing tool online as when you share your knowledge, your brand gains exposure and it’s usually in a positive light. One way to do this is on social media and guest blogging. Rather than post about what you had for breakfast on Twitter, provide a link to great article on podcasting or design. Or write an article for a blogger or podcaster you look up to and you will be providing them value and reaching a new audience. Always be sharing things you think will teach others or be of some value to your audience and your brand will benefit. Teaching comes in many forms, but the more people associate you as a thoughtful or genuine provider of useful content, the more your brand will grow. Promise. 5. Financial: That’s right, you can make serious money teaching. II. 5 WAYS TO TEACH ONLINE? 1. Start a website & blog. There is really no better or easier way to get started teaching and sharing your knowledge than with a good old fashioned blog. While writing is necessary component of most everything you do, you really can teach effectively on your blog in so many different styles. There are infographics and listable posts of Top 10’s, etc and then you can embed video with bullet point descriptions. Your website and blog should offer great content as this is where you will grow your email list, so the more useful and educational material you have on your website and blog, the more likely people are going to stop by and sign up so they stay informed. 4. Social Media. Use social media to build relationships and teach/share your knowledge. 5. Launch a podcast. Starting a podcast is one of the most effective teaching platforms online and a great way to establish your authority and mastery of topic. Omar Zenholm from $100MBA teaches 10-minute business lessons 7 days a week and he is a very effective teacher. Sean McCabe is another podcaster who teaches entrepreneurship. Both use podcasting to add value and build relationships with their audience and to market products they sell.